DETROIT — Maryam Bahramipanah is torn between staying with her husband, who came to Michigan from their native Iran, and returning home to see her mother, who suffered a stroke. With the U.S. Supreme Court’s decision Tuesday to uphold President Donald Trump’s ban on travel from several mostly Muslim countries, she expects that she can’t do both. 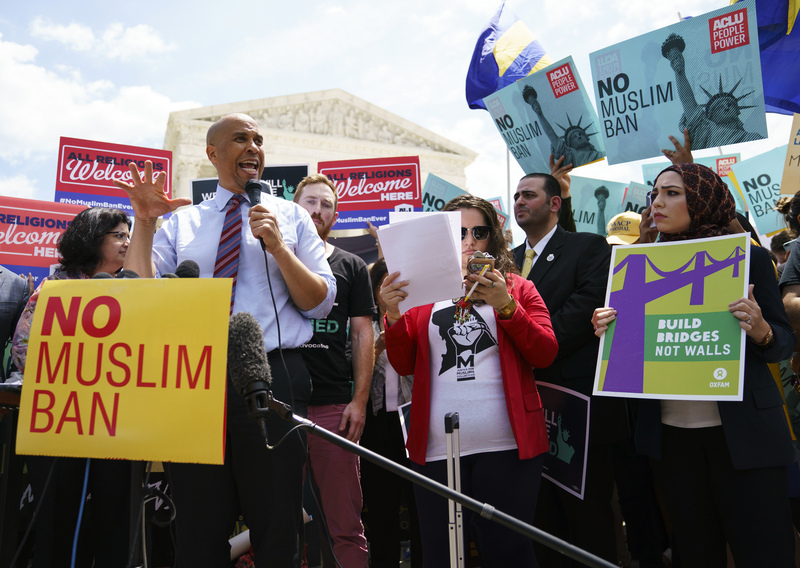 Muslim individuals and groups, as well as other religious and civil rights organizations, expressed outrage and disappointment at the high court’s rejection of a challenge that claimed the policy discriminated against Muslims or exceeded the president’s authority. Protesters voiced their dismay at rallies across the country. “Today, we were broken. I lost my heart to see my family,” said Nasher, who works as a translator. Suzanne Meriden, the council’s executive director, choked up as she said, “It’s sad on so many levels. I never cry. We’re here to calm people, but I just get stressed out about it all.